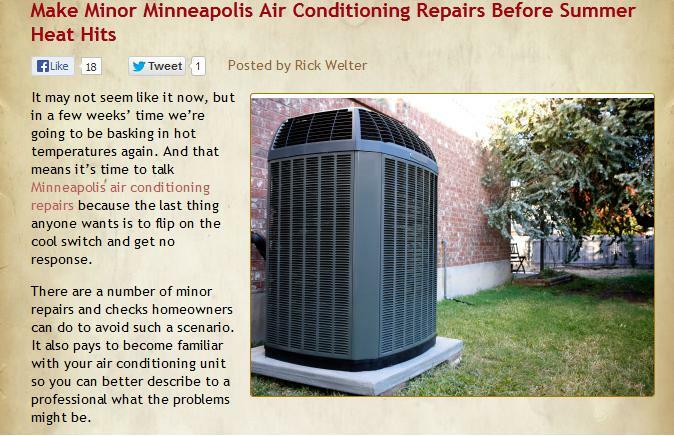 Ray N. Welter Heating Company is a small business based in Minneapolis that specializes in central air conditioning and heating system repair. The company has spent more than 100 years building a loyal customer base that will turn to them at the first sign of trouble. But therein lies the rub. With the weather in Minnesota being as unpredictable as it is, the ‘first signs of trouble’ with an air conditioner or furnace could hit in waves or lie dormant for months. And in the meantime, inconsistent web traffic can leave the company overly reliant on existing customers or emergency calls for new business. Like many small businesses with limited marketing resources but a great reputation, erratic website visibility can create unwanted financial stress. How could Ray N. Welter Heating Company control its web traffic, when it had no ability to control the weather? 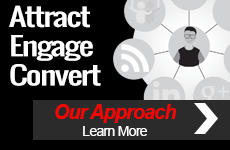 To create a useful resource for customers year round, Ray N. Welter Heating Company launched a content marketing initiative with an “Air Tips Blog”. Designed to provide a more consistent source of traffic to the website, the blog was built around evergreen and resource oriented content – from advice regarding when to upgrade an air conditioning unit to furnace maintenance tips. TopRank helped maximize the potential of this new content destination by building out an optimized editorial plan focusing on key pain points experienced by customers, rather focusing only on services offered by the company. What to do if a Furnace Quits? How to Choose Between Gas and Electric Furnaces? Answers to these questions and more formed the basis of content that could easily be found through search and shared through social networks. 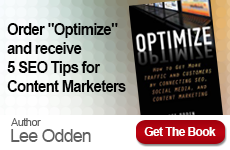 The creation of relevant, valuable content around the questions customers are actually asking has resulted in consistent year over year online results since the launch of the blog. With no cooperation from the weather I might add. The launch and year over year commitment to a long term small business blog has put Ray N. Welter Heating Company in control of their online traffic – while producing awesome year over year gains. If you’re interested in boosting search and customer experience results with a solid business blog and content marketing program, give us a call at 1-877-872-6628 or drop us a line via email. Can you tell us how the increase in traffic affected sales? Of that traffic how much was local? Local businesses who write articles with national appeal face the possibility of not seeing those articles actually bring in local clientele, and they are concerned about that. I have a veterinarian client, for example, who gets more traffic on her website from all around the world for an article of Vertigo in dogs than for anything else. In fact, she is on page one for that query. She couldn’t see the value in that. “How does a visitor from China help me?” she asked. I told her international exposure and buzz can affect her local search visibility in a very positive way. Plus, quality articles like that establish authority and credibility in the minds of local site visitors, and if a small business is using social media effectively, they can create a buzz amongst local residents. So getting these articles found in the SERPS by locals isn’t as critical to their success as they might think it would be. But how much better would it be if their content marketing also focused on the very specific interests and needs in the local community. For example, if a freeze is expected in the area, writing a very timely article on what’s to be expected in that town, and how residents can prepare for it, could find local residents landing on those articles through search. What we’d like to see for a local business like Welter’s Heating Company, is a good percentage of the 109% increase to be locals. To achieve that, local businesses would benefit by mixing in local content into their content marketing strategy.